Betfair Poker, Betfair Casino, Betfair Sportsbook and Betfair Exchange — it’s all available under one account when signing up for Betfair. And when you join Betfair, you can feel confident that you are playing on one of the best all-around gaming sites in the world. The Betfair poker room makes its home on the iPoker Network, one of the largest poker networks in the world with other top European sportsbooks, which makes the games better than many comparable online poker rooms. The casino features hundreds of casino games and the sportsbook and exchange offer about as many betting options as you could possibly hope for. New Betfair Poker players can receive a 200% up to €1000 first deposit bonus with a variety of free perks. And if you want to play of the other products, you will have bonuses to take advantage of as well. As an alternative to the poker bonus, players have a wide selection of bonuses to choose from. Players depositing into the poker room for the first time will receive a handful of perks, which are summarized below. The perks are meant to cater to all types of poker players with perhaps some incentives for you to try different types of games. In order to receive the Betfair Poker deposit bonus, you must meet some basic terms. Of course, the deposit bonus is just a small part of the Betfair poker bonus package. Keep in mind these terms and conditions when taking advantage of other parts of the bonus. Why do we like Betfair? The BonusCodePoker editorial staff likes Betfair for a variety of reasons but the “pros” can essentially be summarized in three ways: gaming options, reputation and bonuses. Gaming options: These days many online gambling sites offer a suite of gaming products. Betfair takes that concept to a whole new level. In addition to offering an iPoker Network poker room, Betfair offers a casino, live casino, bingo and arcade just for the casino minded player. For the punter that likes to bet sport, not only do you they have one of the biggest and best sportsbooks in the world, they also offer the impressive Betfair Exchange, which is a real-time betting market that not only offers countless betting options but is a lot of fun. 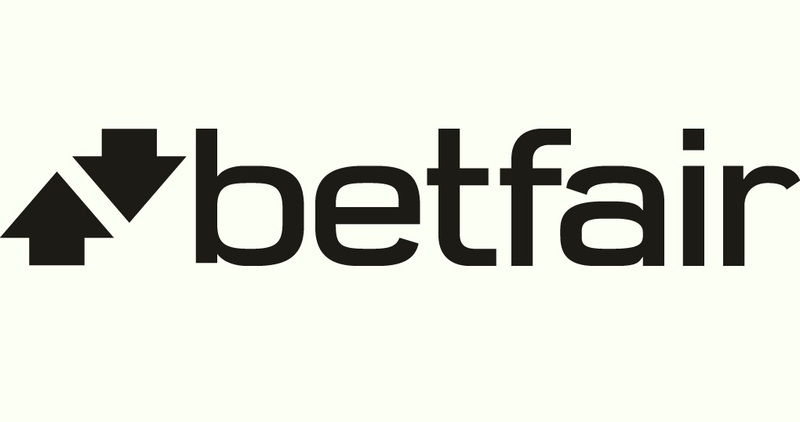 Reputation: Betfair, which is based in the United Kingdom, has been around since 2000. They are licensed by the UK Gambling Commission and have mostly developed a stellar reputation from players over the last two decades. Add solid payment processing and responsive customer service and you have the makings of a well-rounded gaming service. Bonuses: Whether it’s their plentiful poker welcome package, bonuses for the various Betfair products — with a fair amount of free options, as well as monthly or ongoing promotinos, it pays to play at Betfair. The variety of bonus offers will help ensure that your value is among the best while playing on Betfair. Betfair Poker rewards poker players through the Betfair Poker Loyalty Club, a VIP program that pays cash rewards to the most frequent players. The Poker Loyalty Club is comprised of three status levels, with status determined by the number of Status Points that are earned in a monthly period and reset at the beginning of the month. Once a status level has been achieved, you will be able to keep your status for the rest of the month and the following month. To earn Status Points, you will need to generate €1 in rake or tournament fees to receive 25 points. The main perk of the Betfair Poker Loyalty Club is that you are able to exchange VIP Poker Points (VPPs) for cash at a rate of 375 for each euro in cash rewards. Those at higher status levels will be able to earn VPP points faster through the use of multipliers, which will effectively increase your rewards. Players can receive the equivalent of up to 35% at the highest VIP levels. The VIP program only applies to the poker room, however, casino players playing in the Betfair Casino or Live Casino can receive Comp Points, which functions as a VIP program for casino players. The amount of Comp Points will vary based on the game being played but are usually around 1 for every €10 wagered. Once earned, Comp Points can be exchanged for cash at a 100 per €1 rate. In addition to the benefits of the Betfair bonuses and the Poker Loyalty Club, Betfair Poker players can get additional rewards through monthly promotions. When playing in the poker room, Betfair’s monthly rake race and Twister race should not be discounted. They are yet another way to add to your overall return while playing at the tables. Monthly Rake Race – Status Points are also earned towards the exclusive Betfair Monthly Rake Race. Be one of the top 20 point generators during the month at Betfair to share in €9,000 in prizes including €2,000 for first. Another €1000 will be given away in the form of a monthly freeroll, with the top 50 players eligible at a value of €20 per player. Players are automatically entered into this promotion, so there is no need to opt in. Prizes are paid within three days of the completion of the race. Twister Races – Twister SNG players have a promotion of their own in the form of the Twister €12,500 race, available each week. The race runs from Monday to Sunday with winners determined by the number of Twister Points earned, with 1 point awarded for each €1 in buy-in and the same amount going to winners. So if a player enters a €10 buy-in Twister tournament and wins, they would receive 20 points. The top 250 players will receive a combination of Twister Tokens as well as cash. First place will receive €1,000 in cash with prizes paid on Monday morning. The Betfair Sportsbook is perhaps what Betfair is most known for, offering a tremendous selection of betting lines and betting markets with some of the best odds and lowest vig in the sports betting industry. The Paddy Power and FanDuel acquisitions — another highly regarded online sportsbook and DFS site — is seen as something that will only strengthen the position of Betfair in the future. When in the Betfair sportsbook, you can find a plethora of virtually every type of wager you can imagine, from spread limit betting, money lines, totals, futures and everything in between. And all of this is available on what is arguably one of the est sports betting platforms you will find online. Regardless of the type of bettor you are, you should have no issues finding sports to place wagers, as Betfair offers betting lines on dozens of sports. In addition to all the sports you would expect (football, American football, rugby, cricket, basketball), Betfair also offers betting lines on sports such as snooker and MMA. They even have betting lines for politics as well. While some sportsbooks may focus on the European sports bettor, the betting options at Betfair appeals to most global players with betting lines for most sports. The Betfair sportsbook also jumps in with both feet in offering horse racing betting lines, something that not all sportsbooks are well versed in. A robust In-Play and virtual sports betting platforms are also available for your betting needs while at Betfair. Like the regular sportsbook, the low margins and interface are both positive attributes when placing wagers in the Betfair In-Play platform. If Betfair offered just a sportsbook, that would probably be enough to make Betfair worthy of your sports betting dollar. But Betfair consistently goes beyond, and for sports bettors they also offer the Betfair Exchange, the top betting exchange on the internet. Instead of lines that are set by the sportsbook, the Betfair Exchange sets market rates based on where players are “trading” their money. Bettors trade as much as they want as long as there is another side to their wager. Betfair makes their money in the exchange by taking a small commission that starts at 5% but can be lowered with frequent play. Like the sportsbook, the Betfair Exchange offers a large selection of markets including less obvious choices such as politics, eSports and Gaelic Games. The Betfair Exchange operates in real-time, where players can either back or lay their wager. One of the only negatives that we can see of the exchange is that you won’t always have your “bet” accepted, as all lines with markets will require somebody on the opposite side of the wager. With the Betfair Sportsbook, Exchange and poker room garnering much of the attention, it’s easy to forget that Betfair also offers a casino that is impressive in its own right. Playtech is the main software provider, but Betfair also offers games from IGT, Netent and Williams Interactive, to name a few. Players will be able to find hundreds of different slots and table games. Because of the variety of games, players can often find variations of the same game, allowing you to find a game that meets your preferences. Table games include such choices as blackjack, baccarat, craps, roulette, some of which include progressive variations with large jackpot prizes. Believe it or not, Betfair even features something they call the Zero lounge, games with no house advantage. While these games are only available through the download client and smaller maximum stakes, they can be a great way to improve your odds at the table.